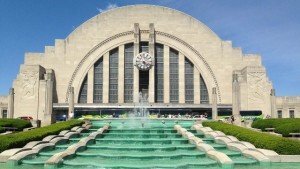 The Cincinnati Museum Center welcomed nearly 1.5 million visitors in 2015, making it the second-busiest in the center’s 25-year history. Nearly 224,000 guests visited the institution in December, making it the highest-attended single month since the Museum Center opened in 1990. The museum center is home to the Museum of Natural History & Science, Cincinnati History Museum and Duke Energy Children’s Museum and the Robert D. Lindner Family OMNIMAX Theater. More than 414,000 visitors experienced OMNIMAX films and toured the museum center’s four special exhibits in 2015. “Our guests made 2015 a great year for us, and we’ve heard that the exhibits, films and programming we provided made the year equally memorable for them,” said Elizabeth Pierce, president and CEO.